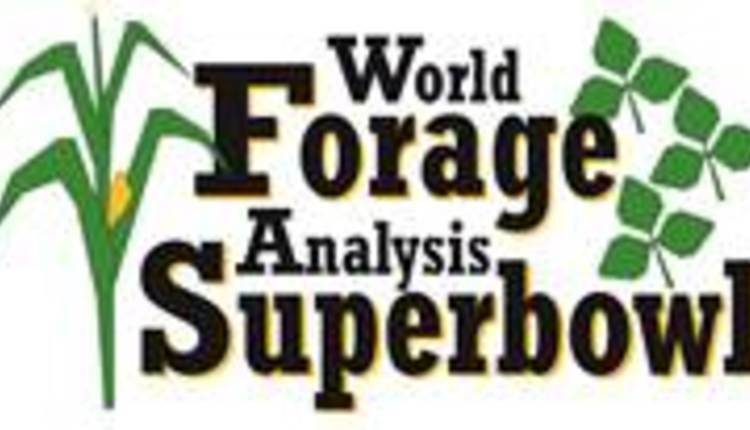 The 34th World Forage Analysis Superbowl will award more than $25,000 in cash prizes in October. This large sum is made possible by generous award sponsors including the contest’s Platinum Sponsor, Mycogen Seeds. Held in conjunction with World Dairy Expo®, the contest is comprised of eight categories where forages are evaluated on lab and visual analysis. The Grand Champion Forage, the overall winner, will receive a check for $2,500 from Kemin, and the Grand Champion First-Time Entrant will receive a cash award of $1,500 from Kuhn North America. Forage categories receive a top cash award of $1,500, while additional prizes are awarded to second through fourth place finishers. The categories and their sponsors include: Champion Baleage, sponsored by Agri-King; Champion Commercial Hay, sponsored by NEXGROW Alfalfa; Champion Dairy Hay, sponsored by W-L Research; Champion Grass Hay, sponsored by Barenbrug USA; Champion Organic Hay, sponsored by Blue River Hybrids Organic Seed; Champion Haylage, sponsored by Ag-Bag; Champion Standard Corn Silage, sponsored by Agrisure Traits; and Champion Brown Midrib Corn Silage, sponsored by Mycogen Seeds. In addition to the above categories, two other awards will be given: Quality Counts Hay/Haylage and Quality Counts Corn Silage, sponsored by CROPLAN By WinField. Additional support is provided by two Silver Sponsors, The National Hay Association and Passion Ag, Inc.
All winners will be recognized at the Mycogen Seeds Awards Luncheon on Wednesday, October 4, at World Dairy Expo in Madison, Wis. Entry forms are available by calling 920-336-4521 or visiting foragesuperbowl.org. The $30 entry fee provides entry into the contest, along with a detailed laboratory analysis of the sample. Participants may submit multiple entries. The deadline to submit corn silage entries is August 1, and for all other entries it is September 7. The World Forage Analysis Superbowl is organized in partnership with DairyBusiness Communications, Dairyland Laboratories, Inc., Hay & Forage Grower, US Dairy Forage Research Center, University of Wisconsin-Madison and World Dairy Expo. To learn more, visit foragesuperbowl.org.